1. Get a cute pillowcase. 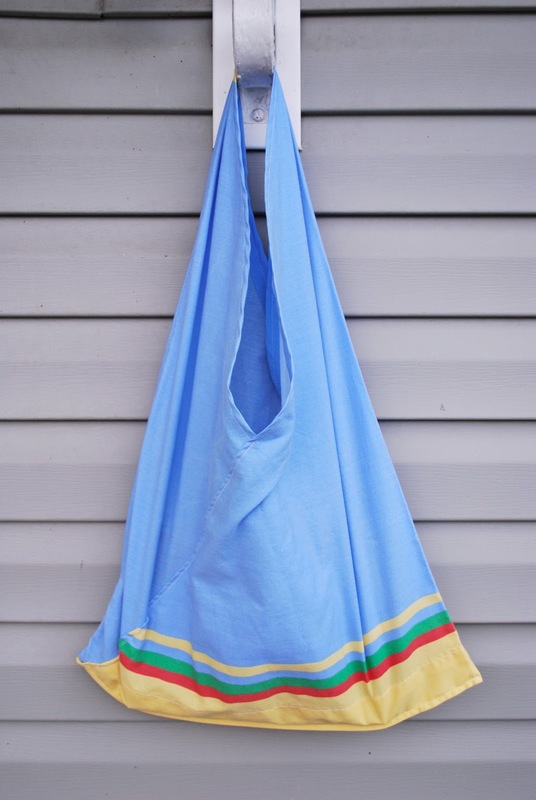 You will be using this bag so you'll want a cute/cool print. 2. Sew the pillowcase shut. 3. 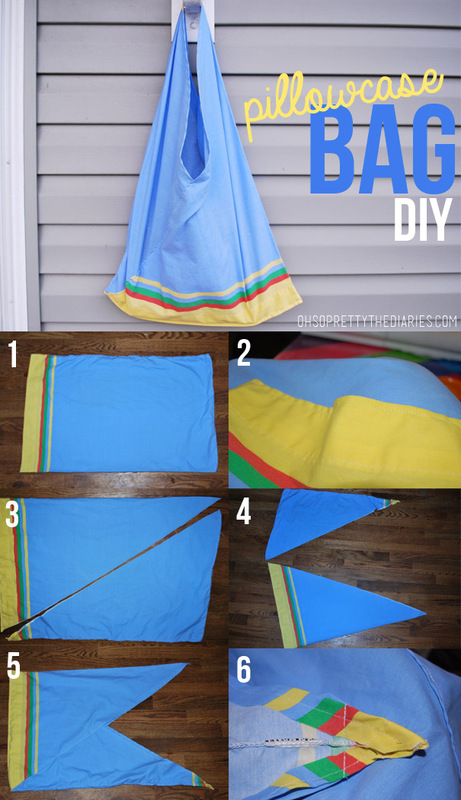 Cut diagonally through the whole pillowcase. Use pinking shears if you have them and you won't have to worry about hemming. If you just used scissors, hem the edge where you've just cut. 4. Turn one of the triangles upside down so the ends of the pillows are together. 5. Put one of the pieces inside the other, bottoms together. 6. Sew the two pointed ends together, patterned sides facing together. 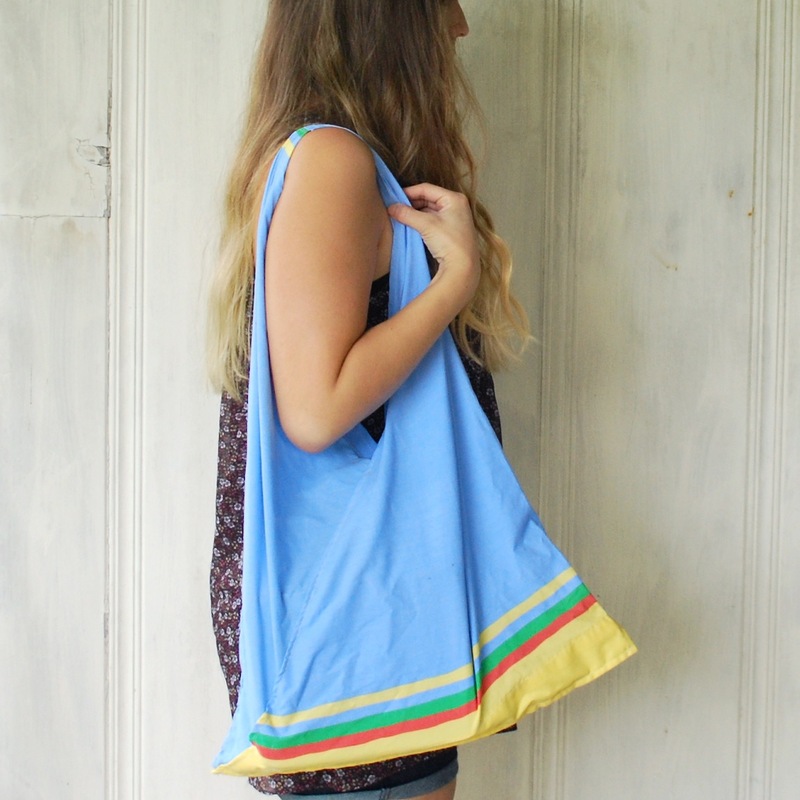 Just like that you have a nice bag/tote perfect for groceries or your study gear or whatever! cool, too bad all of my pillowcases are boring. I definitely have to get some pinking shears though. We got all of our cool pillowcases from Goodwill for a $1 or less. I think you forgot a step - maybe obvious what to do if you know how to sew but for the novice maybe not. Once you put one piece into the other you need to stitch them up, not just jump to stitching the top strap pieces. Love your page, cheers! I don't know if I'm being dense but I can't figure out how to see the two pillow cases together, not at the bottom, but the sides using a machine?